This Sunday I’m rowing in Boston—along with more than two thousand other rowers in the C.R.A.S.H.-B. 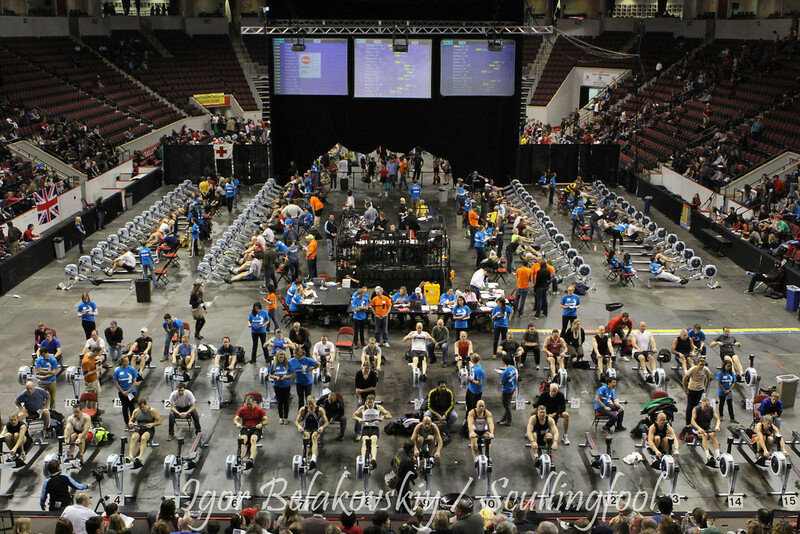 World Indoor Rowing Championship in the Agganis arena at Boston University. Thousands of other people will be there too, cheering us on. I know. I know. You can’t imagine me doing this. Well, these days, Boston is frozen solid and buried in snow. I’ll be rowing indoors, on an indoor rower. Yes, them. But indoor rowers have advantages. Unlike boats, they’re not tippy. I never fall off, and I never get wet. And unlike treadmills, there’s no wait for them at the gym. World class rowers will be in Boston on Sunday. I am not one of them. Those of you who know me are supportive—and utterly flabbergasted. After all, you’ve only known me as a squishy woman a little overweight and a little out of shape. And a senior citizen besides. It’s been a bizarre journey. It involves an old friend from the YMCA, Over a year ago, Dan quit his job in IT and he and his girlfriend Laurie, now his wife, opened a fitness studio. Full Circle Fitness New York. Dan’s an ex-football player, a weight lifter—and a rower. He lost a lot of weight years ago and wants to help others do the same. Put exercise fanatic and softie together and you get Dan. A good guy. I wanted to be supportive, so I signed up. I paid a monthly fee and went every day, Monday to Friday And between walking to the exercise class and doing all those jumping jacks and planks and triceps dips and burpees and god knows what else, my body started to change. As I changed, Dan, a man of boundless, irrational optimism, began to conceive big dreams for me, and they were all about indoor rowing. “Why indoor rowing?” you ask. It’s like this. Dan and I got to know each other years ago in an indoor rowing competition at our local YMCA. I’d signed up because it was January and I’d just made my annual resolution to get fit and lose weight. Turns out that if I rowed slowly enough, I could row for hours, in a gentle, slow, rocking chair cadence. I could also listen to music or talk to the people around me. For that contest, speed didn’t matter. Only distance. Since I’m retired: I could stay for hours. Lots of other people, Dan included, signed up too and also spent many hours rowing. They were rowing a lot faster and harder than I, but I didn’t care. Only total distance mattered. Several of us got ridiculously competitive. As we rowed, side by side, we got to know each other really well. Afterwards, Dan became passionate about rowing, joined a local rowing club and competed in the water and on the indoor rowers too. Fast forward to this past year. Dan had not forgotten that once upon a time, I’d rowed 600,000 meters in a month. Apparently he’d forgotten how slow I’d been. The problem is that I would have to go fast. Much, much, much faster than I used to go. I couldn’t listen to books on tape anymoreI I would have to hustle. I would have to sweat. I would have to get seriously out of breath. I hate all that. Huge chunks of Dan’s boundless energy and enthusiasm became devoted to helping me train for Boston. I suppose I’m as ready as I’ll ever be. This coming Sunday, Dan and his wife, Laurie, and my husband, Jay, will go to Boston too. Dan will be beside me while I race, yelling out advice like “Legs! Use your legs!” and exhorting me to greater efforts. Jay and Laurie will be in the stands. I’ll be wearing the dreaded spandex shorts and a tight-fitting top that doesn’t cover nearly enough of me. That’s the way everyone dresses, so they tell me. Doug is one of the world’s kindest men—but he remembers my rowing. He also knows how fast the rowers will be in Boston. All of the rowers—even the women 70 to 74 years old. It had occurred to me. I’m going anyway. I’ve spent a lifetime avoiding interesting activities—like art classes and Texas line dancing and guitar playing—because I believed I couldn’t be good at such things. But if anything is worth doing, surely it’s worth doing badly. I’m going to Boston to row as hard as I can. I don’t expect to win the hammer given to each winner. But I do expect to meet interesting people from all over the world. I’ll let you know how it all turns out. And oh yes, for the first time since I was thirteen years old, this year I didn’t make a resolution to lose weight or to get fit. I’m close enough. 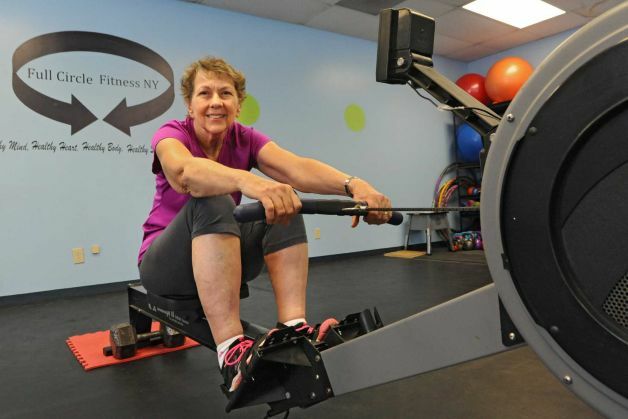 This entry was posted in storytelling and tagged aging well, C.R.A.S.H.-B., erg, indoor rowing, rowing, senior fitness by Margaret French. Bookmark the permalink. Thanks, Karen. You, of all people, know how truly absurd this is! Wonderful, Margaret, to read your version here after the Times Union one! And wonderful that you have found something that excites you, draws out your endurance skills, makes you healthy and makes for a great story! What an example you set! Thanks, Sigrid. I am excited. Let’s see how I feel come Sunday evening…. Wonderful post! I also enjoyed the article Kate sent out and Jeannine’s report of your good reception at Northshire. Go, Margaret!! And thanks for the inspiration! Thanks, Siri. I’m a little nervous, but it will be fine. Anything worth doing is worth doing badly! Yes! I’ve said this many times, and I add that this doesn’t contradict the claim that anything worth doing is worth doing well, because both of them follow from the fact that anything worth doing is worth doing for its own sake, no matter how well you do it. I’m glad that you’re coming to Boston. You’ll get to see for yourself that the snow really is as bad as you’ve seen in the news. Be careful driving around corners. You have to creep out until you can see past the snowbank in order to tell if any traffic is coming. There was a crane outside of Agganis Arena last week, hauling down loads of snow off of the roof and delivering them to a front loader, which hauled them around the corner to a snow melter. I probably won’t get to see you compete. I’m supposed to bake cookies that day. (More specifically, I’m supposed to help bake several hundred hamentaschen for Purim.) Still, I might be able to make it. Do you know what time your age group will be rowing? Have a great time CRASH-B! And by all means try Texas line dancing and guitar playing and art classes. What matters is how much you enjoy them, not how well you do them. Oh Jacob, I’m so glad you responded. A lovely note. Hamentaschen for Purim. Nice. And thanks for the tips about driving in Boston. Even in Albany we can’t see at corners. Waiting for Spring. Loved your blog, you have the best way of stringing you thoughts together. Wishing you all the best and will be following you. Hugs and love to you my friend.